A richly poetic collection of short stories. A moving collection of literary short stories which explore the triumphs, compromises and challenges of everyday life. 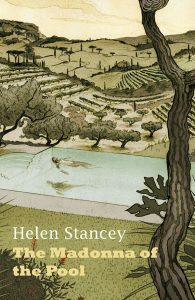 Drawing on a wide array of characters, Helen Stancey shows how small events, insignificant to some, can resonate deeply in the lives of others. Richly poetic, deeply moving and entirely engaging, these short stories demonstrate an exquisite understanding of human adaptation, endurance and, most of all, optimism.